As we all daily read in newspapers that so many people died due to dengue fever. It is a viral illness. Dengue is affecting people of all age groups as the virus is passed by flies and mosquitoes. So mosquitoes pass this virus from one person to another and hence it is important to keep your surrounding fly and mosquito free. So Diet and health tips for people suffering from dengue will be very helpful. When you are infected by dengue your platelets start falling down incredibly. Platelets are part of our red blood cells. Platelets helps in blood coagulation. So if platelets go very low then blood clotting is affected. And if you bleed from any part of the body, it is difficult to stop bleeding with low platelets. So we have to be very careful that there is no damage to the body externally or internally and the person does not bleed. Due to such risky conditions victims get hospitalised or even require ICU setup as a preventive measure. So be careful of these small mosquito bites. They can change your health. The most effective and important tip to avoid dengue fever is to stay away from mosquitoes and from long standing fresh water. And with the above precautions, still if you are suffering from dengue fever, diet plays a very important role to bring you out from this viral infection and you get your health back. 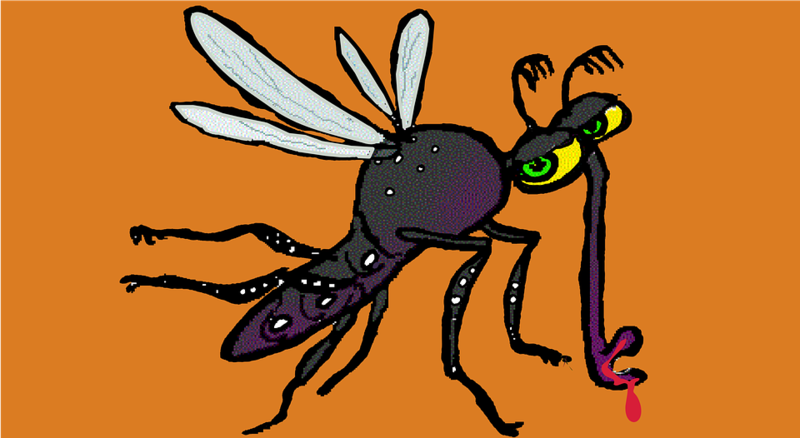 Dengue fever is followed with lots of weakness and lethargy. There are high doses of medicines are going in. At the same time the appetite of the patient is very low to support those medicines. So an additional concern of eating good nutrition is important for fast recovery. So if you wish to get out from this infection pretty soon, it is important that you eat well and drink well. Now a day’s dengue fever is considered to be one of the dangerous fevers. Inspite of the medications available it is difficult to diagnose at an early stage. Dengue fever may or may not be detected in the first sample of your blood. But getting yourself treated under a physician is very important. As we talk about diet for dengue fever. There is no thumb rule to be followed for diet but a few tips can help you to combat soon from the fever. 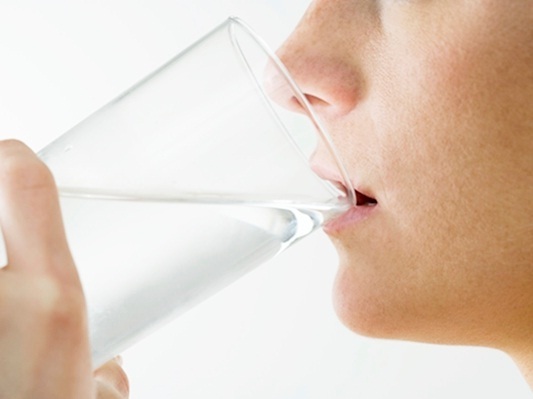 It is very necessary to supply your body with plenty of fluids throughout the day. Oral rehydration solution, fruit juices, coconut water, lime juice etc can be given which will help to remove the toxins from the body. Virus gets excreted via urine hence reducing its load in the body and hence it is advised to be on more of liquid diet and increase overall water intake. During fever appetite of patients is really very low, so it becomes our responsibility to select food which patient likes and apart from that the food selected should be such which has high energy in small quantities. Along with calorically dense food the consistency of food will also be very important. For e.g. instead of chapatti give sheera with good amount of ghee and sugar. 1 chapati to eat would be difficult if compared with sheera. Sheera being soft doesn’t require efforts of chewing it. Milkshakes and fruit juices over whole fruits. Do not over load patient with spices, salt, fried and oily food. During dengue fever your liver is affected the most. So when you load your food with fat and junk food, your liver is unable to metabolise as it has become weak as compared to before. So focus more on proteins and vitamins. It is important to make sure that patient gets vitamins from all the sources of fruits and vegetables. 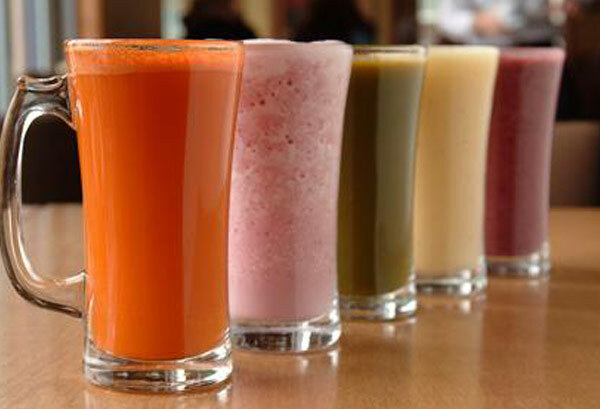 Soups and juices are also a good choice as it is easy to consume and assimilation of nutrients is also quick. During dengue fever, teh vitamins are lost and hence the patients don’t have appetite as well as taste in mouth. Loading body with vitamins will help to enhance hunger and also improve taste buds sensitivity. Your diet can include boiled vegetables, rice porridge, soup, toast, apples, bananas and tea. If patient is not comfortable with solid food patient can stick to liquids for 2-3 days after which solid intake should be gradually started. Liquids need not be very light like dal water or rice kanji. Make pulp of food and dilute little with water to make it drinking consistency eg mashed dal with some mashed rice or khichdi Nausea and vomiting are the main symptoms of dengue fever which have to be taken care of. As dengue majorly affects the liver, there is impaired liver function. So it becomes very important to supply body with easy to digest food where in liver can rest and regenerate it’s cells.. So that body doesn’t have to do extra effort of converting complex food into simple forms. After patient’s intake improves so the focus from hydrating the patient is to start with a high protein diet. Protein rich foods have to be included in the diet like milk and its products, pulses, eggs, fish, Chicken etc. Many a times doctors suggest to avoid non veg food. Non veg foods have more chances of infection and bacteria. So if it is not cooked properly or not cleaned, it can cause infection and may add to the days of recovery. But if you are sure of your cooking method you can very well eat your meat made in less oil and spice. A high protein and calorie diet is recommended even after the fever is gone to restore all the resources of vitamins, minerals, proteins, fats in the body. I have seen my patients suffering from major weakness even after a month or so. They are not able to perform their activities as before. So your body really needs to be replenished with nutrients and also give good rest to your body. If you are not aware of the diet you should be eating, please consult your nutritionist or take help or a specialized person who can guide you with a correct diet and rejuvenate your body. You need to follow a good healthy routine and build your immunity back. I want to know that can I eat sugar apple in dangoue fever. yes you can.. home made..
Yess Plsss, same is mine. Non spicy bland food and less oily food will help. Also more or liquids will help. Do take your multivitamins and probiotics as well. Rest of the details are there in the blog. Hi Neha my husband is suffering from dengue fever for last 4 days n the platlets count is one Lankh is it normal? i am suffering from dengue fever for 3 days. can i take curd in lunch and can i take bath. I was diagnosed with dengue and was hospitalized for a week. M having a lot of fruits veggies and liquids. But i still feel week from inside can u plz suggest me what can i take to increase my strength i have exams on head. Hoping to get a reply soon. What diet to be given to a child 4 yrs female during dengue as they don’t eat much during this period? Also a medical question – Does fever still remains during the on set of the rashes on fifth day? My mother having dengue 4 days before now she is admit in hospital a. at the time of admit platlet count 1.99000 but tody count is 1.25000. its goes down. doctors give some saline sodium chloride and electrolyte. My mother is suffering from dengue. Tests results came yesterday night only. Her platelet count has already reduced to 22000. She has nausea and vomiting also. Whatever fluid intake she is taking is coming out through vomiting. Please suggest what shall we do. how many days should i take alcohol after diagnosed from dengue? My wife get infected with Dengu Virus. Please help me what to not eat in this situation. Can a person suffer from dengue and typhoid together? And can such person have chocolate? My daughter suffering with dengue fever..she studying 12th standard. palates 3L and wbc 4000.is she stay hostel continuous? And how many days after she will go to the hostel. Day Before Yester day my platelets count was 180000, yesterday it was 107000 and today it is 91000. Why it is reducing? Is it a good sign? When we asked to manipal hospital they asked us to admit for 5 days and total bill said 80000 rs, is the amount will this much to treat dengu fever. I got discharged from hospital when my platelets count more than 70k and now it reached 136k.My doctor said avoid nonveg until full recovery.can I eat eggs??? Can take non-vegetarian after dengue…. Hi Mam, recently I have gone through dengue.weakness is still there. My legs are paining very badly and my bp gets low everytime because of which I feel guidiness. And i am not able to eat regular food its not getting digested. Please suggest me diet. Please eat food as suggested in the blog. One month back i am suffring from dengue.i am porfectly allright know.shall i eat nonveg know. Sir ,please Help. I am suffering from Fever, Headache, Eye pain . And when I get blood report there is low platelet. And Normal Range is (1.5 to 3.5). Then What Should I have to do? I am Afraid so much…. I am having platelets 100200 tested yesterday and I have taken two times papaya leaves juice .I had heavy fever for two days before.Now I am not getting appetite and feeling omitting sensation.Please suggest what to do? and eat fresh fruits and vegetables. My platelets reduced 250 to 140 I’m having full body pain and also asked to doctor they told me to take only liquid things. As they said I’m doing as same. But by liquid things I’m not getting proper energy and also platelets decreased so please suggest me what can I eat in this fever. Tried some food but there taste is not better because of disease. my friend has dengue..or so the doctor said but during the nights he feels like his entire body is burning up from the inside his body is cool on the outside whenever thid occurs he also have headache and joint pains at some point mostly during the nights…needb some advise please…..also what his diet should be like??? My vitamin d is 9,43 its insufficient my doctor told per weak 3 months take calcirole Sachs but my question is why my body getting low vitamin d every year last year also I am facing same problems…. My brother is admitted to the hospital and Iv fluids are being given and the fever is also under control however, the platelets have drop to 35k and he is not able to digest anything he vomited evrything he ate minutes post his intake . Water is being given to him at an interval of 15-30mins . Plz provide a solution at the earliest. I am suffering from dengue yesterday I feel better so I have rice and it is not digested till now and also fill some headache, what can I do. please help, my stomach is heavy, it seems the food is right there only. I m suffering from dengue and my platelets is not increasing its actually decreasing gradually i m drinking payaya leaves as well as eating kivi . any thing more i can add to my diet? Hope you are doing well. My brother and I are suffering from dengue.Its the 4th day and our platelet count is 78k and 150k respectively. Please suggest a good diet plan to follow as we feel super lethargic and drained out already. Also, how to extract juice from papaya leaves? Remove juice from papaya leaf in grinder.twice a day. Eat hygienic home cooked food. can one eat pizza in dengue ? Hina make sure she is under doctor’s observation. Madam, I was discharged post dengue treatment on 23rd July. Now,can I eat eggs and non-vegetarian foods? HI MAM my Bfriend is having dengue now he has alot of weekness to his legs..suggest me what kind of things i can do for him. Dear Doctor my sister son recovered from dengue but now he got urinary bladder was closed and pain is coming while urine. What to do? Am suffering from dengue fever past 1 week..yet my joint pains are persisting. Am at home. But my wbc count is 13,600. And I undergone some surgery before 4 yrs. Tat wound didn’t get cured till now. Whether wbc count become high because of infection r because of fever..
Hi mam I have suffering from dangue fever in 4 days but now I will feel better now can I eat non veg etc ???? My platelates are increasing now but eatching is not stopped still. Traetment is also gonig on please give me suggestion for stop eatching. Hello….its Protiva here..actually i want to know that my mom had dengue but now she is diagonised that dengue virus called elesa is 52’/,which should be less than 11’/,and now its effecting her liver so what diet should she follow and what food and fruits and vegetables should she eat.please reply. I have recovered from dengue, it’s been over a week, can I go about with my house work in moderation and step out too ? My brother has dengue What diet should he follow to cure it and to increase his platelet count?? I have been just diagnosed that i am suffering fron dengue. Can i have rice with pulses? what is the importance of coconut water in dengue ? I have just diagnosed that i am suffering fron dengue fever. I am avoiding chapattis but can i have rice with pulses? Are drinks like Gatorade (supposed to have mineral salts) good to have by patients of Dengue? What about other carbonated soft drinks? Mam i, am suffering from dengue from last seven days, my platelets count was 27 thousand but now its increasing slowly, mam please tell me can i take vegetable soups from market(packet one) in diet? Try to eat healthy home cooked food. yes yuou can. make sure you do the CBC test evryday to check platelets. Hi I got fever on 14th Sept took pills for vital fever again had on 17th and diagnosed as dengue,was on liquid diet and fruits and am on bed rest. How long does it take to get back to regular activities. visit yoru doctor, get CBC blood test done. Have Papaya leaf juice twice a day 5-10ml at once. I recovered from dengue by 11th sep,i mean my platelets got normal by then. By 17th September platelet count reached 3.37 lacs. Now by 26th sep I feel well , except that I feel little weakness in my legs. I want to know whether I should still be taking precautions regarding my diet or can i have normal regular diet . you can eat all home cooked food. Less spicy and oily food. my son is recovering from dengue (Today is 7th day). His WC Count is 7430 and PLATELET COUNT IS 120000. Can he take Idli and Sambhar or Idli + Coconut chatni. Can he eat Dhudhpak. I am regularly giving him lot of water , lemon juice and mosambi juice. give him lots of water and you can give him any fruits he like..
make sure you drink lots of fluids during Dengue. And also take Fresh papaya leaf juice. It does help to increase your platelets and reduce symptoms. My daughter was suffered from dengue and we recently discharge from the hospital 2 days from now. I just want to ask if what are the do’s and dont’s in taking care of my daughter? YOu just make sure there is hygiene around her. give her boiled water. Lost of fruits and veggies. Make sure she eats healthy home cooked food. My current platelet count is 20K and dengue fever subsided some 3-4 days back, can I eat chicken, since I’m feeling a lot of weakness or chicken soup cooked at home. Recently diagnosed dengue discharged from hospital with 1lac plateletts count can i preffer non veg food or not pls suggest. i am suffering from dengue.Can i eat savayiya(vermicelli) ? Hello , I have been diagnosed with Dengue My platlet count is 200000 but my dengue fever antigen value is 5.5 which I have been told is very high. Can you please help me understand this and what all precautions should I take ? Charan, Doctor will be best person to explian your present condition. My kid is 7, she has high fever . We are giving her calpol ds after every 5-6 hours. Issue is she is not able to digest anything, even if she takes apple she vomits . Is it ok to give her little littler ors only from time to time? We haven’t done any tests, is it required? Our doctor suggested to wait for 7 days. What is the optimal level of protein for a recuperating male age 65y. If w are taking ‘Ensure’ protein – how many scoops in a day? Ensure is for for weight gain. it does not have enough protein. After recovering from dengue I am suffering from hair loss,,please suggest how it can be treated. Pls visit doctor no guess work pls..
My pltlts count was 117000 1 week before from then M preserving papaya leaf extrct pomegranate kiwis and other fruits bt still i feel unhealthy what should i do ..? Hello Additional to your regular diet drink lots of water along with fresh fruit and veggies. After how many days can consume alcohol after dengue fever has gone and my platelets are more than 150000 ! My platelets are normal mam….can I eat sweets…. my pltrt is 70k pls suggest me wic food I should west n wic should not. Do you have fever or denue symptom? Can I eat non veg food after recovering from dengue fever? i am suffering fro dengue and the platelate is normal, shall i refer any medicine or only good food supplements is enough to avoid any medicine? i am drinkinh 3 teaspoon of papaya leave juice daily…till how long I should take?…please suggest. do not diagnose yourself. Visit your physician and let him take a call..
yes You can have curd and buttermilk. Hey ma’am… My sister is suffering from dengue and she is also 5months pregnant… Is it advisable to take juice of papaya leaf at this stage…as it is effective for rising the platelet count? Pls consult a gynecologist for help. do not follow any advise unless it has come from a specialized person. I am having fatigue and mild cold from last 3 days , doctor is suspecting it to be viral fever do i need to check for dengue .I don’t feel loss of appetite , no vomiting ,no nausea etc . How do we distinguish viral fever from dengue fever. Advice will be really appreciated. Your physician will be best person to help you with this. Hi mam..Am 29 years old female. Around 26 days back I got dengue. My platelets went to 17000 and had platelets transfusion. Later my platelets count increased to 425000. And got discharged from the hospital and I didn’t have symptoms there after and I was healthy. Yesterday in the morning by around 11.30AM again I got bitten by a mosquito which has having black stripes on its leg. Experienced needle prick when it bitten me and I could not stop it by biting me. Please let me know for secondary dengue infections how long does it take for the symptoms to appear and what would be the severity for secondary dengue infections. Kindly help me in this regard. And also I have still body pains and light head ache. Please suggest some good nutrition . You can try to build up your immunity which will help you to fight these inections. My mother is suffering from malaria. What type of food she should take. What will be better for her Rice or Chapati? Rice will be better digested now. you will have to /eat food which gives you good nutrition.. Avoid outside food..
Also drink loads of fluids and fresh fruits. Thanks for your suggestion madam.Can you please let me know after dengue fever how many weeks i need rest. 10 days rest is fine. Since how many days you have dengue? My wife is detected dengue. You have suggested fruit juice and fruits which we have started and we need your suggestion whether we can give her Nutralite of Amway as supplements and also Chapatti or rice with boiled vegetables. Yes you can give her Amway Nutrilite safely..
fever at night between 100 to 102 ,loss of appetite,less sleep n body aches .tested NS1 dengue got reactive but other antibody test like IgM and IgG antibody non reactive and fever vanishes at morning.Am I dengue infected??? Pls check with your MD physician. It can also be typhoid. after dicharge from degue treatment can we eat eggs and chiken at home made. I have been suffering from fever for the 4 days. It remains between 100 and 101. For the last two days, crocin not helping at all. Fever remains the same doesn’t decrease at all. Though I haven’t had any dengue symptoms yet but will visit the doc today. Is it necessary to have high fever in dengue or can it target around 100-101 as well or may it be symptoms of some other infectious fever? Your assistance will be highly appreciated. in this condition it is better you follow up with your physician. Thanks doctor. I had followed up with my physician and he concluded that it was a viral fever only. Thanks. You can eat chicken home cooked.Less spice and oil.. YEs you can eat rice. Drink more of water and also fresh fruits. Eat home cooked food and boiled water only Less oily food and less spicy food. Ofcourse Beer is not allowed to be taken in this health. You can eat home cooked non veg. Avoid red meats..
Hello Bhushan, Yes you can give. My son diagnosed dengue after test 1.23 laks was platelets then reduced to 1.20 laks doctor not given any medicine, he was eating well but yesterday his appetite was not good, given papaya leave juice 2 times yesterday, will that improve his condition and if you can suggest good appetizer medicine pls advise. Hi mam…! I’m as a dengue patient .. My platetlates count 1lakhs 43 thousands of last tests 20 February. Now I’m better fell then before. …so mam can I eat nonvage like chicken , egg, mutoon soup, ..??? Plz help me . I don’t had nonveg since before 25 days. Eat from a very hygienic place. If possible eat only home cooked non-veg. It’s better to avoid red meats. Thankyou mam . m really cre my health.. Thnkx to nutri..
Mam can I eat boil egg..m suffering from malaria..
My son has dengue fever and since the last 3 days his blood count has dropped significantly. Also he has started having blurry vision in his right eyes that seems to be getting bad each day. The doctors have put him on cortisones. His fever is manageable but his eye is still getting worse. The eye specialist has checked him but states that his eyes are healthy but they are not sure what is happening behind his eye. His head scan showed no bleeds or stroke. What can i do to help him to recover fast. Please take advise of eye specialist. Now you can give him healthy home food cooked. Include fluids, fruits, vegetables, salads, sprouts, nuts, eggs, milk to his dialy diet. Drink papaya leaf juice twice a day and also include fresh figs or dried figs (Anjeer) in your diet. Always consult your family physician’s advise. you can give him healthy home food cooked. Include fluids, fruits, vegetables, salads, sprouts, nuts, eggs, milk to his dialy diet. Let doctor do his treatment and trust him that he will do best for you. For Hb you can start taking Gradencress seeds 1tsp (soaked for 10-15mins) empty stomach with lemon water. Drink plenty and plenty of fluids. Platelets will increase once the fever goes away. Hi Mam. My son 15 months old got dengue fever and hospitalized for a week. Now he is fine. But he is not so strong n I have never given him any supplemental syrups for calcium or multi vitamin etc since his birth. Even I have not taken any medicines like calcium etc. I dint get much milk to feed him at that time. My son birth weight is 3.25kgs n now 12kgs. He is not even taking good diet at present. Just mrng cerelac/tiffins, two times rice with light curry n in nights just uggu. 4. Any advice for me. I am feeling very weak. Drink papaya leaf juice twice a day and also include fresh figs or dried figs (Anjeer) in your diet. Always consult your family physician’s advise. My one year baby was affected by dengue nd he was hospitalized for 3 days. Now he s fine. If d platelet count start increasing ‘ll it continue to increase. Once the count is ascending it will go on. Don’t worry. It is possible if he is been supplemented with platelets or the dengue fever has gone and patient is improving. I had got some red spots over my hands and legs below knees so i ate tablet avil and now iam free from itching but now my knee joints are paining slightly but there is no signs of fever is it dengue? Knee joint pains could be there for several reasons like weakness,low calcium, Low Vit D, High body weight. Do not assume on your own. Kindly visit your MD physician. my mother was dengue positive. platelets count is 99000..
getting fever on and off. sever body pains present.im getting very tensed…please help me about diet and medicines..
Kindly consult your doctor immediately and get the blood reports done as soon as possible. Dengue fever can kill the person if not admitted in hospital on time. My husband was dengue positive with 1,47,000 platelet count, he used to have severe headache and high fever till three days he was taking normal food and fever medicines, but on the fourth day he started vomiting, with in a day the platelet count dropped to 86,000 and I had to shift him immediately to hospital after three days it decreased initially (66,000) then it started increasing. Thank You Jovita for sharing your experience. Please give him papaya leave extract without adding water, It taste the most bitterest. And you can see the cell count gaining at instance. You said plenty of fruits. Doctors says i should not give,ay daughter foods and juices with color cause it will affect her utine and stool’s color. 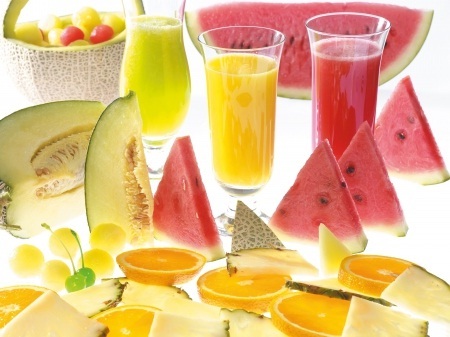 Natural fruits and juices will not have any side effect. Do not give her packaged foods or juices with preservatives and coloring agents added. My moter is suffering from high fever is it the syntom for dengue? Doctor will be the best person to identify if the fever is of dengue. My nephew is suffering with Dengue. Suggest top diet for him to cure. Give lots of fluids, fruit juices, water or liquid diet. Give juice of papaya leaves 2 times a day. Give home made food. Drink plenty of water, fluids, juices. Drink Papaya leaf juice twice a day. Drink plenty of fluids, juices, water. Drink papaya leaf juice twice a week. drink Glucon d water instead of plain water. U should take only soft food.papaya leaf juice,6coconuts per day,2 papaya,apples, promogranates per day,only its better to take only idlli….